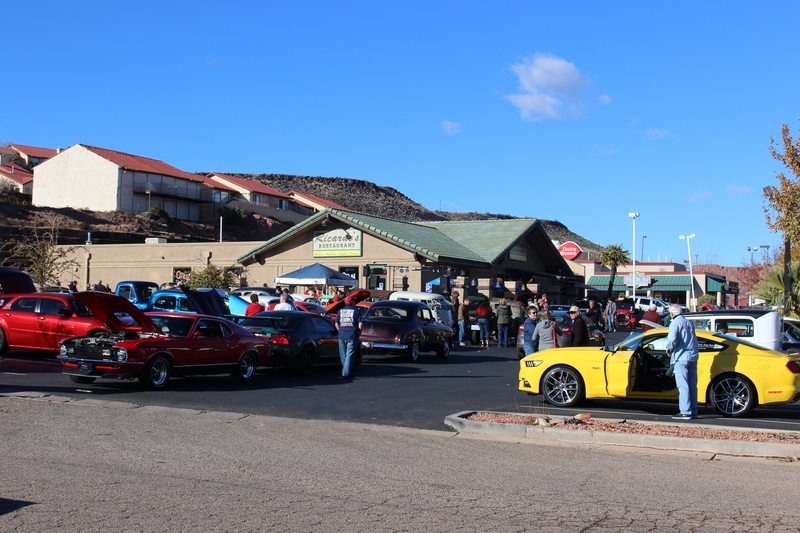 ST. GEORGE — A group of classic car-loving heroes known as Car Guys Care will host a car show to benefit the local Toys for Tots program for the sixth consecutive year Dec. 2. The show will go from noon-4 p.m. at Nielson RV in St. George, 341 E. Sunland Drive, and food will be provided to those in attendance. Nielson RV will also be making a monetary donation to support Toys for Tots, Rabbit Downward, the company’s parts/service manager, said. Along with food, the new location will provide much-needed room to showcase more than 200 vintage beauties. Bringing the community together for a street party surrounded by classic cars to help needy kids is a community support model that has proved successful for the last six years. Those wishing to donate are asked to bring unwrapped toys. All toys donated at the car show will go to families throughout the community. Toys can also be dropped off any time at Nielson RV, Downward said. The Toys for Tots car show is presented by Car Guys Care and is similar to a street party where anybody with a car, truck or motorcycle is invited, Shane Dastrup, coordinator for Car Guys Care, said. The Toys for Tots program was officially adopted by the Marine Corps in 1948. Since that time, more than 452 million toys have been distributed to more than 209 million needy children. While Marine Corps Reserve coordinators organize, coordinate and manage the Toys for Tots campaign, the drive’s ultimate success depends on the support of the local community and the generosity of the people who donate toys, according to the program’s website. In 2016 the local Toys for Tots program provided more than 950 children in 350 families gifts on Christmas morning, children who may otherwise have gone without, Toys for Tots program coordinator and retired U.S. Marine Gy Sgt. Rick Massey said in a previous interview with St. George News. All monetary donations submitted via the secure web site for the Washington County area stay in the area. These funds are utilized to purchase toys where shortfalls are noted. Car Guys Care is a nonprofit organization comprised of a a group of classic, custom, hot rod and muscle car enthusiasts who love to come together and help the communities of Southern Utah. Items the program is running short on this year include infant toys, along with grooming products and age-specific items for teenagers, such as curling irons, cosmetics and body wash for teenage girls. For boys, Axe body wash and cologne (or similar items) and headphones are needed. 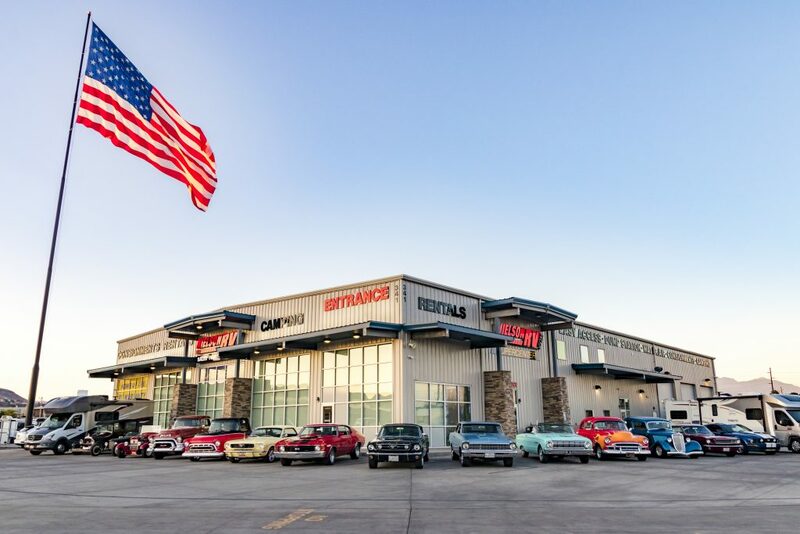 Nielson RV opened a new 22,000-square-foot facility in 2016 and recently hosted the Southern Utah’s Veteran Day Food Drive and Classic Car Show in November from which more than 1,800 pounds of food was donated and delivered to the Utah Food Bank. The company will offer specials on RV sales, parts and service during the event, Downward said, as well as the ten percent military discount that is available every day. Toys can be dropped off in labeled drop bins at various businesses throughout Washington County, for more information go to Toys for Tots. What: Toys for Tots Car Show. When: Saturday, Dec. 2, noon-4 p.m.
Where: Nielson RV located at 341 E. Sunland Drive, St. George. Contact: Shane Dastrup – (435) 619-9770. Details: The public is invited to this free event. Monetary donations are accepted, and those attending are encouraged to bring unwrapped toys.